This was a venture into the unknown, a challenging but great learning experience. 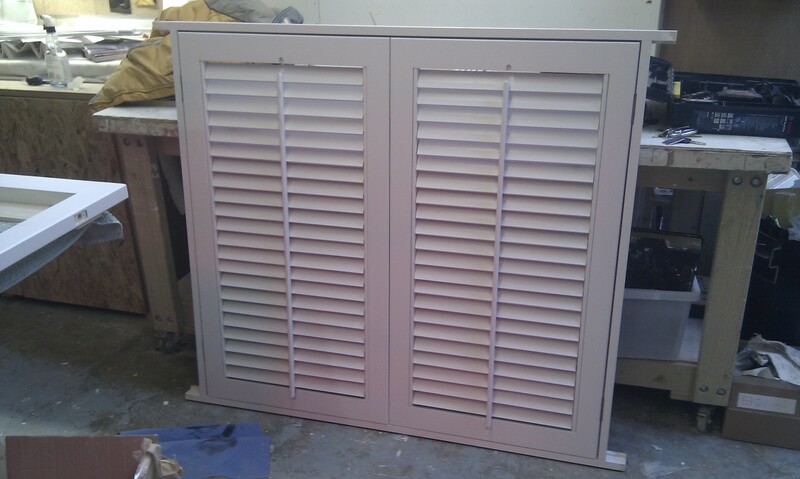 A client got in touch to ask about making some custom 2/3 height plantation shutters to fit a splayed bay. It’s amazing how a big stack of timber can disappear. Three of these 3.6m lumps went into the project! It’s also feels great when you compare the picture to the final product. Wood really is a fantastic material! OK, we’ve skipped a few steps. 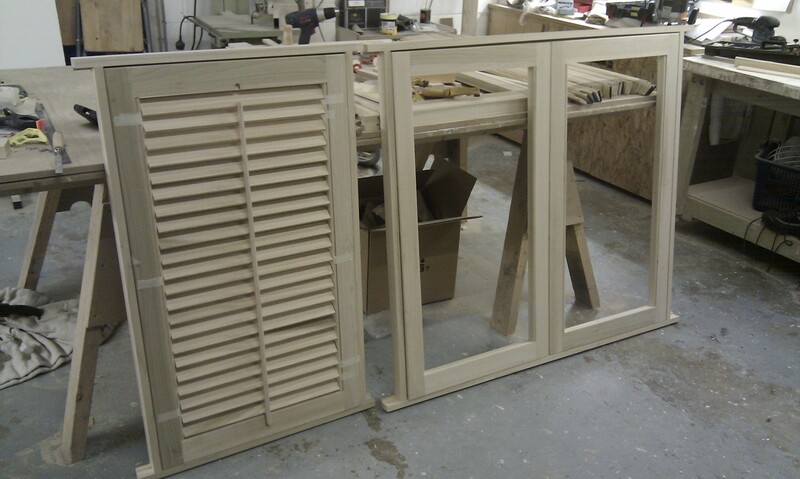 It was one of the coldest UK winters (2010) and before the shop was insulated so WIP shots were the last thing on my mind Essentially once the timber was dimensioned, frames were made up with sashes (a frame within a frame) to hold the the louvres. 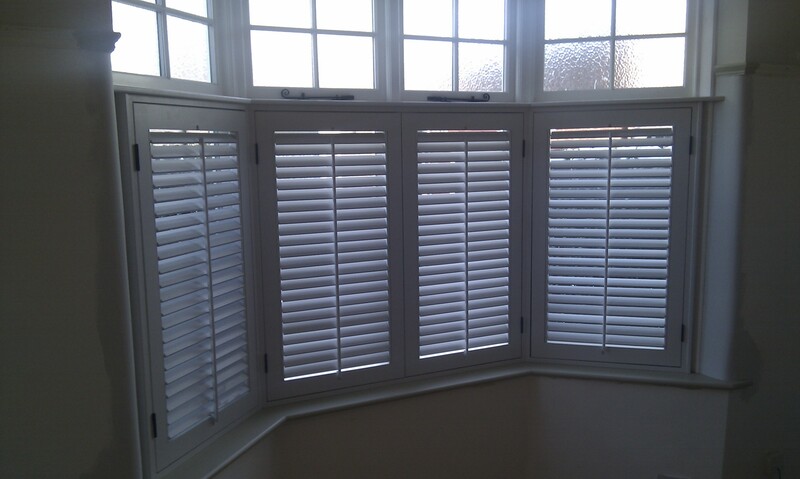 All the louvres are splayed on the four edges so they close nice and tight. A sort of diamond shape in section. Each louvre pivots on two 5mm shelf pins with a vertical tie rod performing the open/close in a simple operation. You can see how the colour of the timber can vary from green to a pale yellow and how little figure is in the timber (photo above). 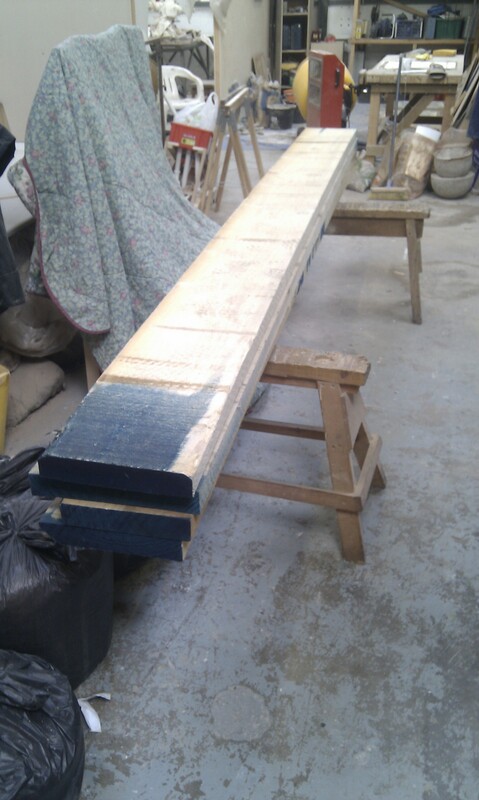 Here we can see the middle pair for the splay finished and ready to fit. Finishing was quite a time consuming process. 88 louvres to prime, sand and finish (2 coats)! 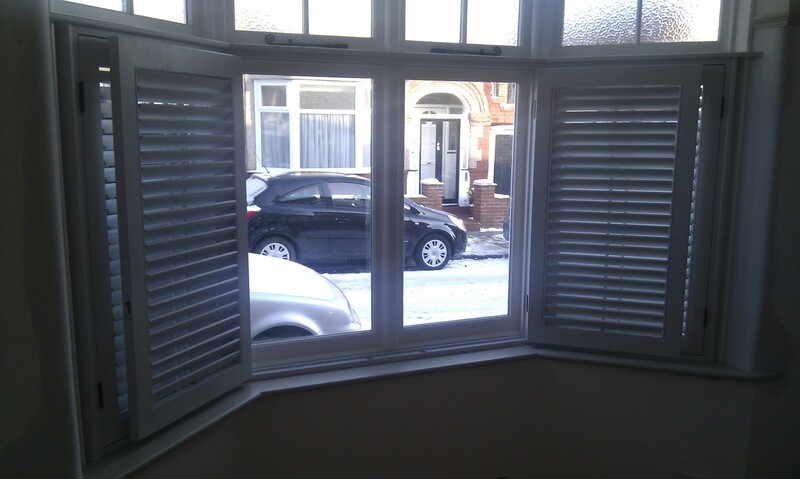 The shutters were fitted and scribed with a capping piece and end panels. The sashes are hung on black hinges with bullet/ bales catches holding them shut within the frames. 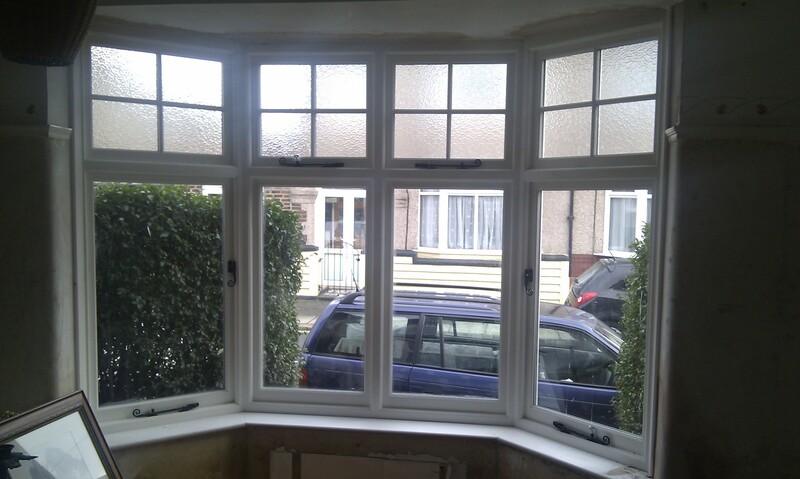 This allows them to be opened for the cleaning and opening of the windows. This entry was posted in Internal Joinery and tagged Internal, joinery.